The supply chain, including ports, vessels, and equipment suppliers, will likely be tested in the coming years to keep up with the pace and demand of offshore wind development in the United States. At the end of 2018, there were 14 offshore wind projects in various stages of development across the Eastern and Great Lakes coasts. While offshore developers secure financing, licenses, and components, several U.S. port operators are upgrading their infrastructure to accommodate this emerging renewable energy market. Liz Burdock, the executive director of offshore wind advocacy Business Network for Offshore Wind, notes that the U.S. ports have been playing catch-up even before the country’s first and only offshore wind farm began operation off the coast of Rhode Island. She says time – namely the lack of it – may prove to be their biggest hurdle. Since many infrastructure improvements still need to be made, there could be bottleneck constraints at the ports. Nonetheless, Burdock explains the port dilemma comes down to the realities and growing pains of a developing industry. “The ports themselves are not to blame,” she explains. Offshore wind projects in the U.S. have been talked about for some time. However, it’s only in the last few years when offshore wind projects such as Block Island, have regulatory, environmental, and legislative support. A handful of ports are recognizing the time is now and are prepping for offshore wind in the United States. Operated by the Massachusetts Clean Energy Center, the New Bedford Marine Commerce Terminal is a multi-purpose, 26-acre facility built to support the construction, assembly, and deployment of offshore wind projects. It is the first purpose-built port in the U.S. and one that can also handle bulk, break-bulk, container, and large specialty marine cargo. In 2016, Massachusetts’ Baker-Polito administration signed a letter of intent with Ørsted (formerly DONG Energy), Deepwater Wind, and OffshoreMW to lease the facility as a staging and deployment location for future wind projects. With Governor Phil Murphy prioritizing offshore wind, the sector is finally moving forward. After a slew of initiatives to backstop offshore wind, the Murphy administration and the state legislature reauthorized a $100 million tax credit aimed at improving infrastructure at state-based ports. This includes the Port of Paulsboro, says Brian Sabina, senior VP of economic transformation for the New Jersey Economic Development Authority. As the U.S. offshore wind industry works toward adding more steel in the water, opportunities abound for the industry workforce. 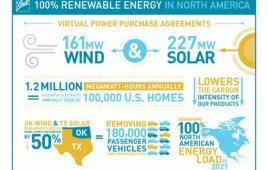 For example, the Massachusetts Clean Energy Center released an Offshore Wind Workforce report earlier this year that estimates 1,600 MW of new offshore wind would support 6,870 to 9,850 job years over the next 10 years and generate a total economic impact of between $1.4 billion to $2.1 billion in Massachusetts. The administration envisions industry development programs (like tax credits) as key incentives, positioning New Jersey as an Eastern hub for offshore wind development. Sabina says the opportunity in New Jersey is similar to how Houston became an economic powerhouse in the oil and gas industry. One way is by using New Jersey’s coastline as a mid-Atlantic martialing port that could house enormous offshore wind components for local and Eastern projects, such as those planned in New York and Maryland. Sabina cites the 130 to 150-mile coastal land zone that is unencumbered by the presence of bridges and power lines. The state is studying other offshore wind opportunities through the development of its Offshore Wind Strategic Plan. Braden Point sits on 300 acres near the water and is the former site of a coal-fired power plant, currently being converted into an offshore wind hub. The new hub is likely to attract ventures such as Vineyard Wind, a partnership between Avangrid Renewables and Copenhagen Infrastructure Partners that won an 800-MW solicitation earlier this year. The Baltimore, Maryland-based facility landed a $20 million Tiger Grant last March from the federal government. Although not specifically earmarked for offshore wind, a portion of the funding will go to the offshore wind sector. As mandated by the Maryland legislature, Tradepoint Atlantic is the port for U.S. Wind’s 250-MW Maryland Offshore Wind Project, which is scheduled to come online in 2020. Situated at the mouth of the Cuyahoga River near Lake Erie, this port facility is reinforcing its docks to in preparation for the Lake Erie Economic Development Corp.’s (LEEDCo) Icebreaker offshore wind farm. According to Jade Davis, VP of external affairs at the Port, LEEDCo will use the port as a staging area for blades and the main hub. As the ports assess their level of readiness, the nascent offshore wind industry and its supply chain partners are grappling with the logistics of staging, housing, and building offshore wind components. Offshore wind components are typically much larger than for onshore wind turbines. As a result, port space will be at a premium once offshore projects develop and require room for storage and transportation. Although Deepwater Wind’s 30-MW Block Island Wind Farm was commercialized in 2016, there’s a big difference between a pilot-scale project and a utility-scale project, explains Jay Borkland, program manager and international advisor for engineering and design consultancy Ramboll. Serial production of modern offshore wind turbines is equal parts art and science, Borkland says, noting that recent reports of General Electric’s new offshore 12-MW wind turbine — which is nearly four times the output of the units erected at Block Island — has an overall wingspan roughly the length of the Golden Gate Bridge (when measured from tip to tip). As a result, U.S. ports are facing serious challenges converting their existing capacity, citing more hardened quaysides and deeper berths to allow overseas vessels transporting the components to enter the ports. The size of the offshore components is one concern. Cost and time are also critical factors for project bankability and insurability. For example, insurers mandate that offshore wind projects can only be constructed and installed during a seasonal window, typically April through October. And if developers miss that short window, cost overages can run $100,000 to $300,000 per day. Therefore, the pressure is equally on developers and their port partners to perform.